Please click here for the continuation of this post. This is an update of my previous post, P.S. 122 Gifted Program in Danger of Closing. 3/1/13 Update: There’s an emergency meeting coming up on Wednesday, March 6. Below is the text from the flyer. 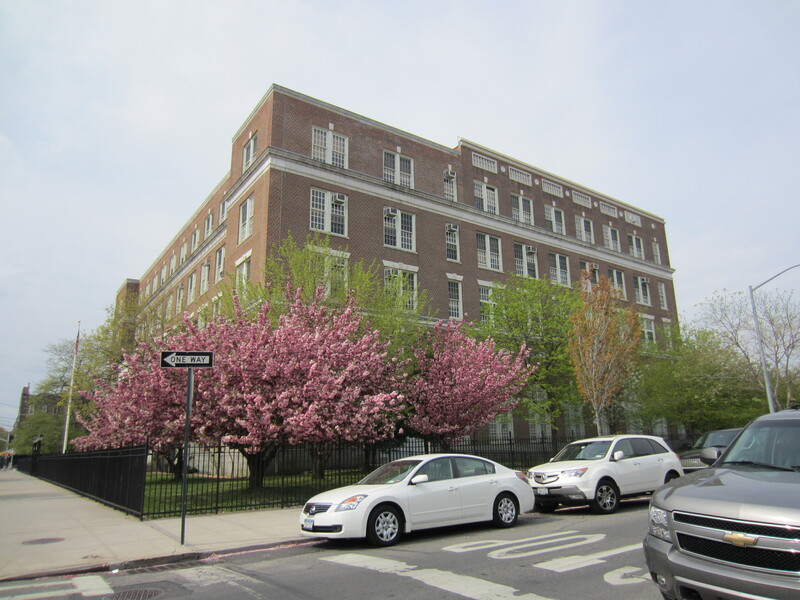 HELP SAVE OUR PRESTIGIOUS P.S.122!!! The Department of Education (DOE) is proposing drastic cuts to P.S. 122’s Talented and Gifted program known as “The Academy” and the addition of a zoned middle school program in the same building. The surge in enrollment and overcrowding that would result will take away resources from all P.S. 122 students. The impact of these actions will be felt beyond the borders of P.S. 122, potentially also affecting local schools such as P.S. 85, I.S. 141, P.S. 150, P.S. 166 and P.S./I.S. 126 in an adverse way. The impact of the DOE’s proposal will be felt beyond school walls. Many hard-working families have chosen to move to and even buy homes in School District 30 because of its successful schools. Damaging our schools will only serve to break apart our community and could potentially threaten real estate values of our respective neighborhoods. Our community cannot sit by as our schools’ abilities to serve the needs of all our children are severely diminished. We need your help! Please join us at the upcoming general community meeting to learn more about the DOE’s proposal, its potential impact, and how we can work to stop it. Together, let’s protect our schools and our community! So, I attended the Community District Education Council 30 meeting yesterday, February 21, 2013, and boy, was it intense! People are very upset about potential changes to the Gifted and Talented program at P.S. 122. I’ll just give a brief rundown of what was said. I apologize for not knowing the names of speakers and if I got some of the facts wrong. Some representatives from the Office of Portfolio Management and the Office of Student Enrollment explained the plan. It appears that the DOE is proposing to change the organization of the G&T (Gifted and Talented) programs in District 30 in Astoria, Queens. The basic idea is that they regard P.S. 122 as a K-8 school, and based on a chancellor’s rule, any student entering the school in kindergarten must be guaranteed a seat in the school until eighth grade. This means that the G&T program (6th through 8th grade) in P.S. 122 would be greatly reduced. They would open up a new program in P.S. 126 modeled after the one in P.S. 122, although what this means is not clear. The effects of these changes would not be seen until 2019. One of the council members called this a “back-handed deal.” She and various other speakers said that this would mean the loss of approximately 60 G&T seats throughout the district and would “destroy one of the most successful middle school programs” in the city. The district is already short of G&T seats. Many (including the principal of 122) said that P.S. 122 is not and has never been a K-8 school. It is/was a K-5 school with a 6-8th grade G&T program. The DOE’s proposal would also worsen overcrowding in the school. The following is the text of a sample letter you can send to these people. Please modify it to suit your own style, etc. I am writing this letter to support one of our community’s biggest assets, P.S. 122 and The Academy for the Intellectually Gifted that has existed there for almost 30 years. For all these years P.S. 122 has helped shape some of our community’s brightest minds. It has been a refuge for children with a variety of needs and has discharged its responsibility in an effective and extremely successful manner. Given P.S. 122’s success record, we feel that the program and structure there should not be altered. The plan, which was announced recently, will clearly harm our most prized school and, consequently, our entire community. We look forward to hearing from you regarding the reversal of this decision which has galvanized our members the broader community. One of the council members said to contact Marc Sternberg, Deputy Chancellor of the Division of Portfolio Planning. I don’t currently have his contact information. If anybody knows it, please let me know. You can find more information on the Astorians website. P.S. If there are any P.S. 122 students or teachers (past or present) reading this, please feel free to post a comment below. Thank you for the helpful updates. Here’s some more information.